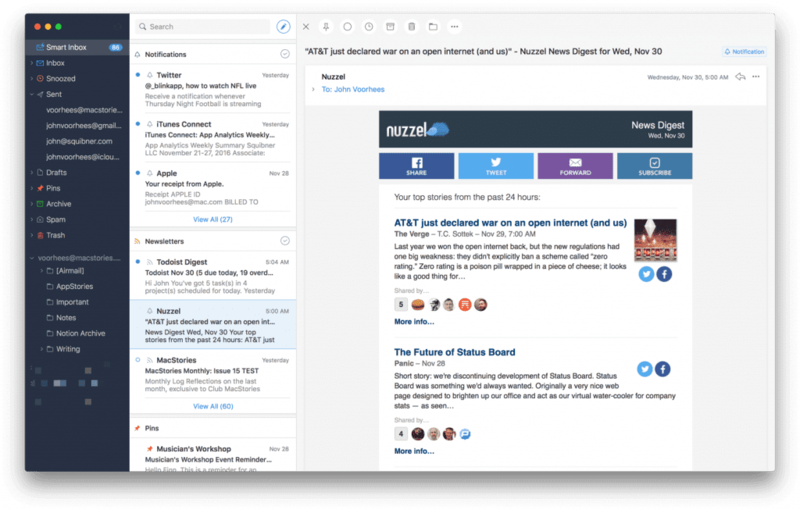 Looking for the best email client for Windows, Mac or Linux? Managing multiple email accounts and a chaotic inbox from a web-based interface can be overwhelming and annoying. Thought of ditching several email accounts and forwarding everything to a single one? But after years of multiple email accounts, forwarding everything over to one looks impossible. A desktop email client is a software that allows you to receive, compose and send emails from all your email accounts in one place. You can view e-mails from several email addresses in one unified inbox. The best email clients provide multiple tools and features to make your email experience better, including integrations, customizations, automation tools and more. 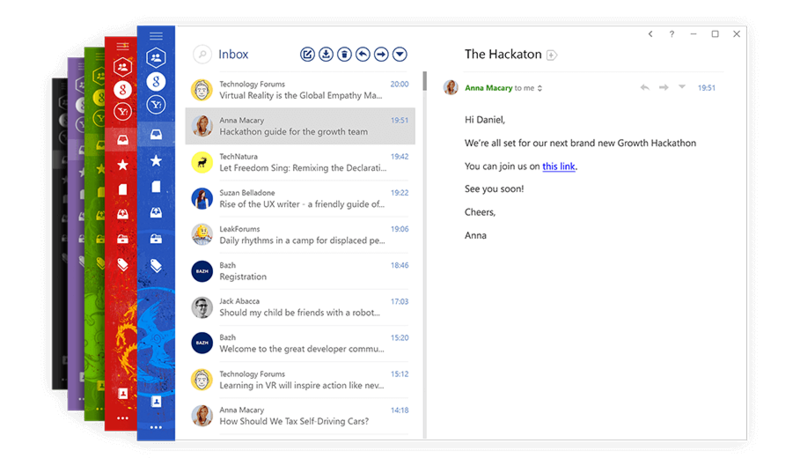 Ready to explore the best email clients for Windows, Mac, and Linux? The top email clients for Windows are Mailbird, Mailbird, eM Client, TouchMail and Opera. Mailbird is one of the leading email clients in the market today. The ability to customize the interface just the way you like it! With Mailbird, you won’t have to worry about multiple accounts and passwords ever again. With this email client, you can bring all your accounts into one consolidated email inbox. As there’s no restriction on the number of accounts you can add, you’ll never have to worry about losing track of email messages again. Don’t worry about mixing up emails from different accounts either. You can color code each one separately to avoid confusion. It’s super easy to get up and running with Mailbird. As it supports both POP and IMAP accounts, it can handle most service providers like Gmail and Hotmail. Just add your name and email id in the drop-down menu and Mailbird will do the rest. Ever forget to reply to someone, or miss out on a question in a mail? With the Mailbird Inline Reply feature, you won’t have to worry about this ever again. You can add your responses directly underneath each question and statement. Not only is it easier for you to respond to questions, the recipient will find it far easier to read your answers! Additionally, you can add your name to your responses along with color coding them to further personalize it. Ever send a mail but then notice something and wish you could unsend it? Maybe you entered the wrong email or forgot to add something. With Mailbird, you can unsend any email as long as it’s within 30 seconds of it being sent. Just activate this feature and choose the time frame you would like for the unsend ability to be active. Anything between 5 – 30 seconds is possible (in 5-second increments). With the snooze option, you can postpone replying to an email easily. You choose when you want to reply to it – be it the next day, the next week – it’s up to you. Once the time comes, Mailbird will send you a notification and you can address it. You won’t have to worry about these emails cluttering your inbox either. They’ll be placed in a designated snooze folder so that your inbox remains clean. Want to access your emails while offline? The offline access feature from Mailbird lets you draft and save emails, even when you have no connection to wifi. It’s really embarrassing, isn’t it? When you mention an attachment in your email but forget to add it? Mailbird has an attachment reminder feature that eliminates this problem. If your email contains the word attachment (in all supported languages) but you forget to enclose it, the software will remind you with a pop-up. With the Mailbird attachment search feature, you can easily find attachments you’ve sent years ago. Just type in part of the file name and Mailbird will bring it up for you! Mailbird makes it super easy to add attachments to your emails. Just simply drag and drop them into the composer window and it’ll automatically start uploading them. We’ve also integrated with file storage apps like Dropbox and Degoo to make it even easier to upload files from your cloud storage. Just click the respective icons at the bottom of the window to add your Dropbox/Degoo file. Mailbird makes it easy to merge duplicate contacts so that you’re not sifting through people twice in your contact list. The software does this automatically, but in the event that two contacts aren’t 100% similar, you can manually choose the default e-mail account. With Mailbird, you can easily copy contacts from different email accounts and place them into groups. You can manually import them or simply use our drag and drop feature. Select a contact from your account and drag it into the group you made in Mailbird. Work email has never been easier. Did you know that people spend around 2.5 hours a day reading emails? 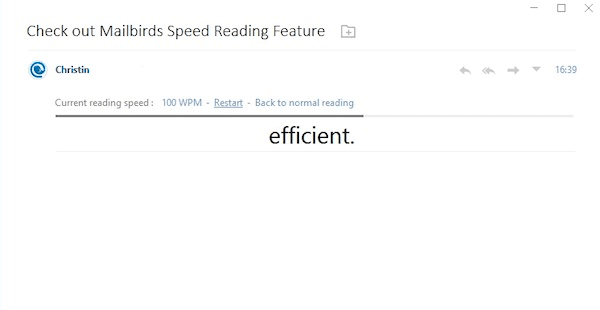 With the unique Mailbird speed reader feature, you’ll be able to jump through your e-mails in a jiffy. It works by showing you each word in an email one at a time to make it easier to process. You have the choice of viewing 100 WPM (words per minute) to 1000 WPM. You can triple the speed of your reading process! Check out more about it in this Techcrunch article. Mailbird makes it super easy to customize your interface to make it truly yours. You can even add a custom theme as a background if you want! You even have complete customizability regarding the layout. You could choose small screen, 3 column & preview layouts to make sure your email client suits your preferences. Another cool feature about Mailbird is the ability to add personalized signatures. These can act as an online business card for your company, so it makes sense to add them to every email. Just add your details and choose a design with Formswift and you can copy the signature into all your emails! You have a bunch of keyboard shortcuts that could open and close windows, report spam and archive posts – all with one click! Our favorite one is the Quick Compose shortcut though. Just click Ctrl + Alt + Space and the Mailbird composer window will pop up immediately. Granted, the quick action bar isn’t a shortcut – it’s actually an alternative to it. Instead of remembering a bunch of shortcut keys, you have a drop down menu next to each contact that allows you to do a variety of things. You could archive, snooze, reply, forward or delete a mail – all with a few clicks! Get an overview of your week and never lose track of important dates again. The Mailbird Calendar integrations make keeping up with your busy schedule a little easier. The Mailbird task managers make completing the million tasks on your plate fast and easy. Need to conduct a quick chat or video conference with a contact or your team? The Mailbird chat and video conferencing integrations make collaboration simple. Whether you are looking to build connections on LinkedIn or scroll through Facebook for a little comic relief, Mailbird social media integrations have you covered. No more hassling with storage space! The Mailbird cloud storage integrations make storage painless so you don’t have to stress about a full hard drive ever again. Do you enjoy reading up about the latest news? The Mailbird blog integrations keep you in-the-know. With all kinds of app integrations, Mailbird gives you an endless amount of tools and features to improve your email experience. Mailbird is only available for Windows. Mailbird offers you a free variant – Mailbird Lite that in itself is a great option. If you truly want to experience the power of Mailbird though, you can opt for our paid variants. The price ranges from $12/year for Pro ($59 for lifetime), and $20/month per person for Business. If you’re looking for a desktop alternative to web-based email, eM Client could be a good option. 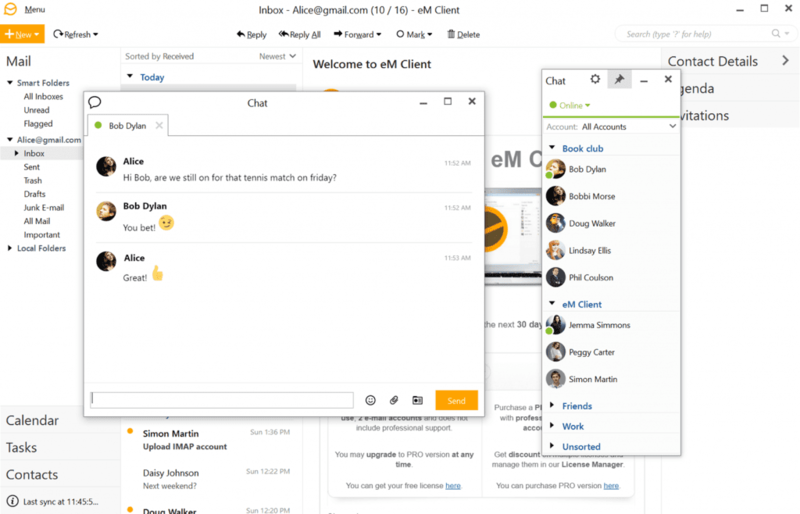 This clean-cut and simply designed mail client supports all major mail servers including Microsoft Outlook, G Suite, Microsoft Exchange, iCloud and more. eM Client combines your email, calendar, contacts and tasks in one place, making navigation easy. eM Client provides helpful search features. 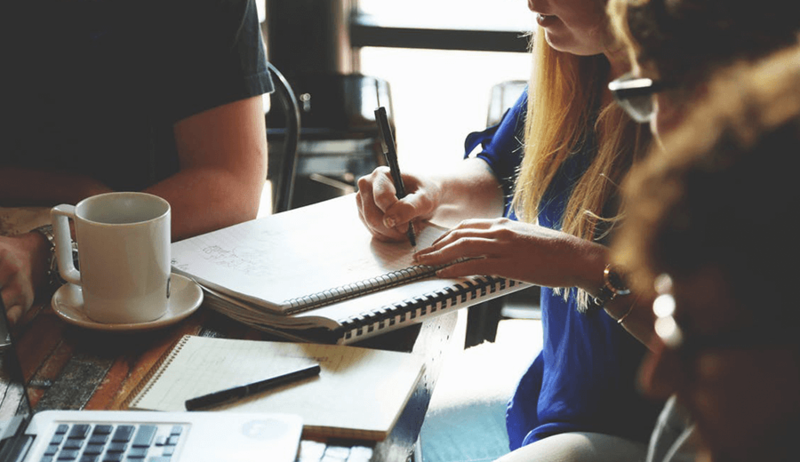 Whether you are trying to manage multiple email accounts, sort and organize incoming mail and outgoing mail, or utilize their customizable tools, eM Client has you covered. How does message encryption work? If you want to send an email with extremely sensitive information (think government classified documents! ), message encryption is a great feature to have at hand. This feature allows you to create a “keypair” – a passcode of sorts, that you can send to your recipient so that both of you can share encrypted email messages with complete privacy. eM Client chat integrations allow you to communicate easily with your contacts. Better yet, you can send email files directly in the chat window without interrupting your chat flow. Avoid grammar and spelling mistakes with the eM Client spell checker tool so that each message is presented correctly. Not only are you able to easily search through your contacts, but your contacts can be synchronized with multiple services, including Gmail and iCloud. eM Client also lets you customize your contacts and includes communication and attachments history for each contact so that you always know where you left off last. eM Client provides full offline access to your accounts so that you can still draft emails, manage contacts, and sort through your mail while off the grid. eM Client comes with its own backup tool. It works in the background while the email app is running so that all of your most important messages, contacts, tasks and events are kept safe and sound. There are a few syncing errors. It is difficult to import an account that has a two-factor authentication set up. While eM Client offers a free version, a single user can purchase the Pro version for a one-off fee of about $20. For more than one user, Pro version pricing starts at $27. If you can’t properly sync your emails to your email client, doesn’t that defeat the purpose of having one? With Mailbird, you will never have syncing issues again. Mailbird is much more than an email client. It’s integrations with Slack, Whatsapp, Google Calendar, Todoist and more make it a unified console for all your communications. This saves you a huge amount of time every day. This aesthetically pleasing e-mail client takes after the Windows 8 layout and brings it to Windows 10. The neatly organized inbox gives a visual experience to enhance your email experience. 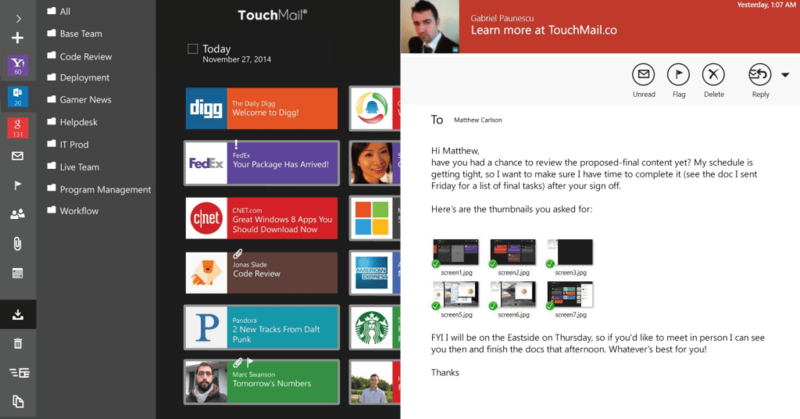 Touchmail is a great option if you want to switch from a web-based email client. TouchMail works with Windows and supports top email services like Gmail, Microsoft Outlook, Yahoo mail, and more via IMAP so that you no longer have to hassle with a default e-mail account. The TouchMail color coding feature makes distinguishing between contacts and email accounts simple. TouchMail displays your email lists in a variety of personalized colors based on the email account or contact. Filter through your messages in seconds with the TouchMail filter feature. Filter by attachments, sender, date received, unread, or flagged messages to navigate through emails quickly. No need to wait until an email opens. TouchMail lets you preview your emails without having to open them. Plus you can zoom out and get a bird’s-eye view of where your emails are coming from. This email client works with the majority of cloud storage services including OneDrive, Dropbox, Box, Google Drive and iCloud so you never lose important messages or information. Get push notifications on all of your devices so you never miss an important message. Now. For the feature from which this email client got its name. 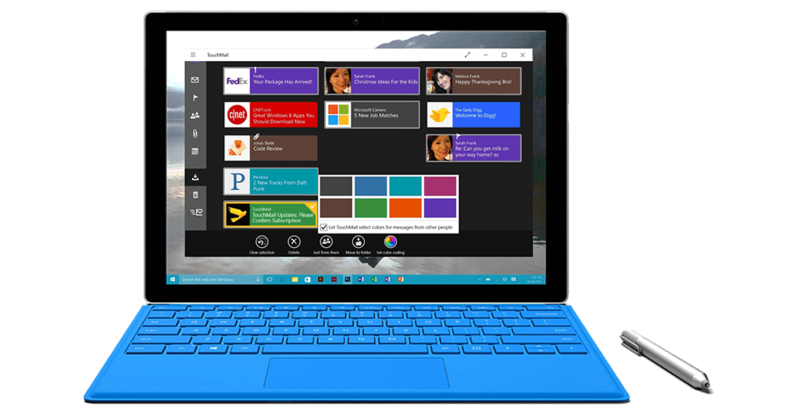 TouchMail is built around touchscreen capabilities, hence the name TouchMail. Whether you feel like using a mouse and keyboard, touch, or pen, you can interact in whatever way you want. They even provide a feature called one-touch delete that lets you delete one email or a group of emails in one go. TouchMail supports integrations like Calendly for calendar and several 3rd party integrations as well. It is difficult to recognize which emails are new and which have been opened. The TouchMail free email client is suited for those of you with simple email tasks.TouchMail offers a Pro version, however, that extends functionality and allows for up to six email accounts. Get the Pro version for $29.99. 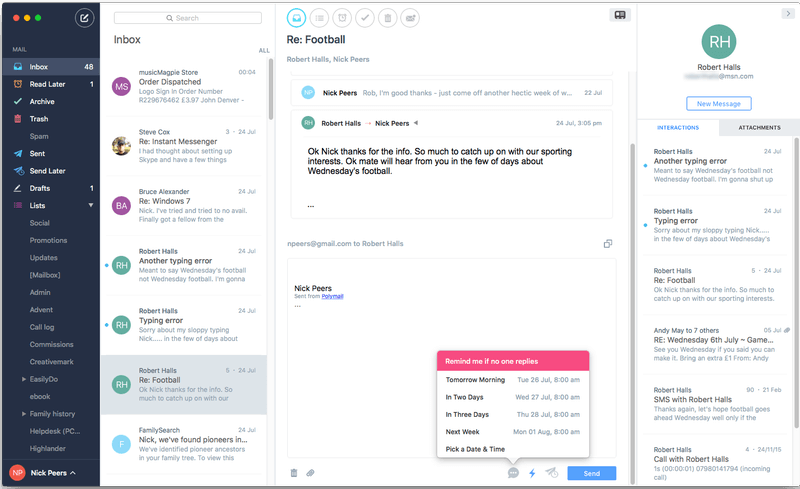 While TouchMail has geared its efforts toward aesthetics, the efforts from Mailbird have all gone toward making emails an easy task to cross off the list each day. In Touchmail, it’s difficult to distinguish between opened and new emails and you might miss out on important emails. You won’t face this problem in Mailbird. Touchmail lacks a lot of additional functionality like unsend emails and snooze inbox – which can be incredibly useful. Before we dig deeper into the functionality of Opera Mail, we do want to mention that Opera Mail is no longer being developed and there is no customer support. However, it is still available and is still a good email client, which is why it’s on our list. Some of the top features of Opera Mail are its intuitive tagging feature, which I will soon discuss. Just like Mailbird and eM Client, Opera Mail has a sidebar on the right that integrates Apps, Calendar and Todo-lists. Opera Mail sports an excellent tagging and labeling system, with a central email inbox and individual folders for each account. Their intuitive tagging feature will send incoming emails from a web-based email client to your personalized folders so that you don’t have to sort them yourself. Having numerous email accounts isn’t an issue with this email client considering you can connect an unlimited number of accounts. Got slow internet? Opera Mail offers a low bandwidth mode for slow connections or for when you are using your mobile device. The sidebar mentioned earlier allows you to integrate with various apps such as the ones shown above. The software is no longer being developed, so there are no updates and improvements. No customer support, which means that if you get stuck with a bug or a question – you will have to figure out a solution by yourself. The setup takes a while. Mailbird is being continuously developed and improved. 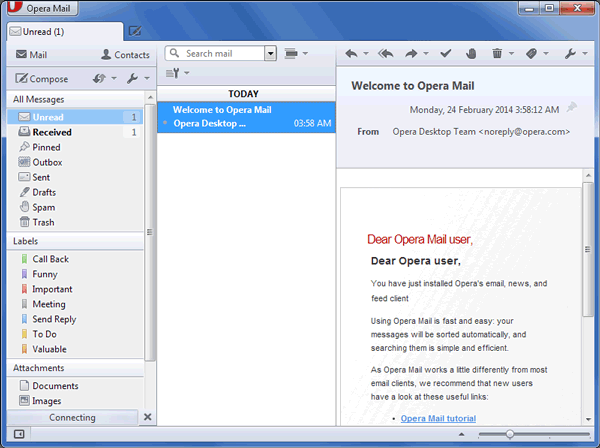 Though Opera Mail is a great e-mail program, they are no longer developing their software. 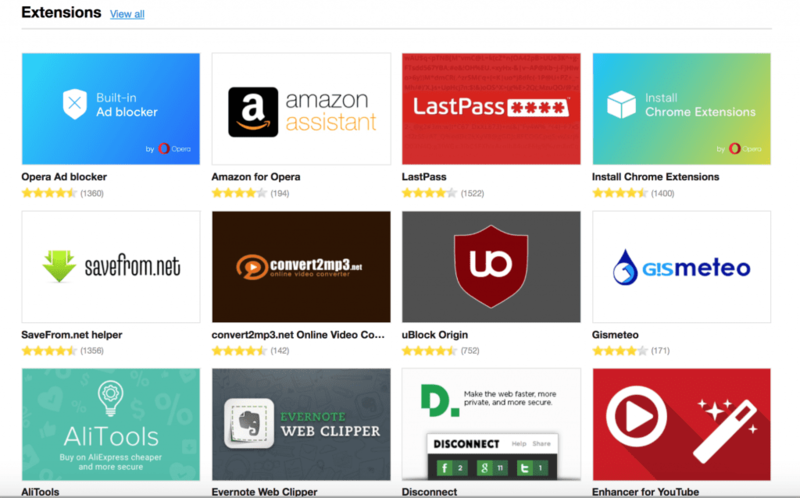 Opera Mail isn’t being developed anymore and offers no customer support. Mailbird has excellent customer support. Opera Mail can’t import data from a lot of modern email clients. As a result, trying to switch over to Opera Mail from another email client can be a difficult process. With Mailbird though, this process is extremely simple and straightforward. Configuring the email settings in Opera Mail has always been a complicated task – onboarding can be difficult – Mailbird is super easy to set up. This native Mac program, known as Apple Mail, Mail.app, or just Mail, is a no-nonsense email client that supports all your accounts in a smart and straightforward UI. Apple Mail is the best email client for users that want simple, old-fashioned email organization with solid filing and archiving functions and not too many extra features. Apple Mail provides 5GB of iCloud storage for free. The Apple Mail interface fits with Apple device interfaces, making it just another easy-to-use app. Apple Mail allows for multiple accounts in iCloud, IMAP, POP and Exchange. 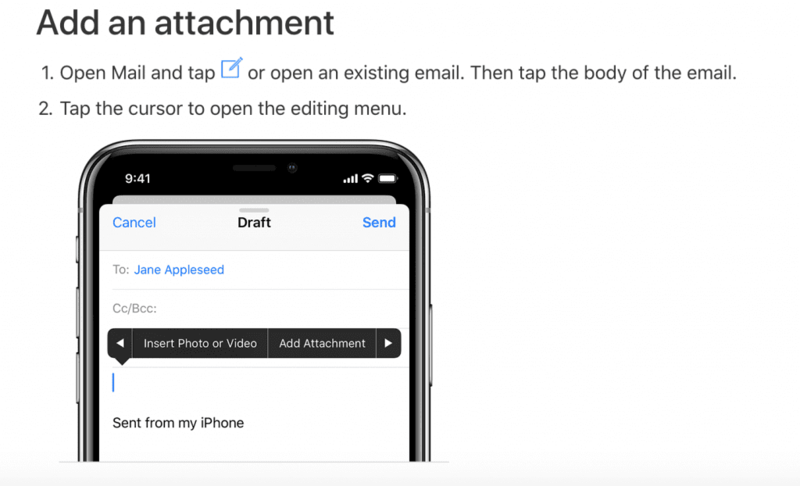 The Apple Mail Drop feature, yes the same one that works with iCloud, allows you to send large attachments without having to use your 5GB of storage space. No more penciling things into your calendar or relying on your memory for important dates. Apple Mail detects when your messages include an event or date that needs to be scheduled into iCalendar. Spice up your email and create unique signatures that can even include pictures. Like any email provider, each email account you use in Apple Mail comes with the standard inbox, sent, drafts and trash mailboxes. Apple Mail also lets you create customizable mailboxes so that you can stay more organized. Want a mailbox designated solely to one of your hobbies? What about a mailbox dedicated to sports? Done. Apple Mail is integrated with other Apple apps like iCalendar and iCloud. Apple Mail doesn’t have the features that many of the other email clients have such as analytics, snooze, customizable themes and built in add-ons. The app constantly makes you re-enter your email password to prove you aren’t a robot, which can be tiring. Polymail has become a popular email clients for Mac. Not only for its light and clean interface but especially for its tracking and security tools. Supporting Google, Outlook, iCloud and Yahoo mail, Polymail believes in making email a productive workspace. Polymail is also great for team collaborations. Polymail allows you to snooze emails so that you can get to them later. Polymail click & download tracking features let you see when recipients open your mail, download files or click links that you have sent. Polymail email sharing feature lets you turn any email conversation into a web link, letting your team view and collaborate on it. Integrations with apps like Slack and Salesforce make connecting with your teammates easy. Polymail has built-in email analytics that give detailed reports and give you insights on your team’s activity. 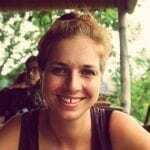 Want to do A/B testing with your emails campaigns? We recommend an email marketing platform like Litmus Mail. Don’t want to receive a certain newsletter anymore? The Polymail one-click unsubscribe feature lets you clean up your inbox by quickly unsubscribing from newsletters you no longer want to see. If no one replies to your message, Polymail will send you an automatic follow up reminder so you never miss out on a lead. Polymail has a variety of integrations including Slack, Salesforce, and Asana. There is no Android mobile version. Polymail offers a 14 day free trial. After that users can upgrade to the Basic plan for $10 per user/month, the Premium plan for $24 per user/month, or the Enterprise plan for $49 per user/month. You no longer need a webmail client. 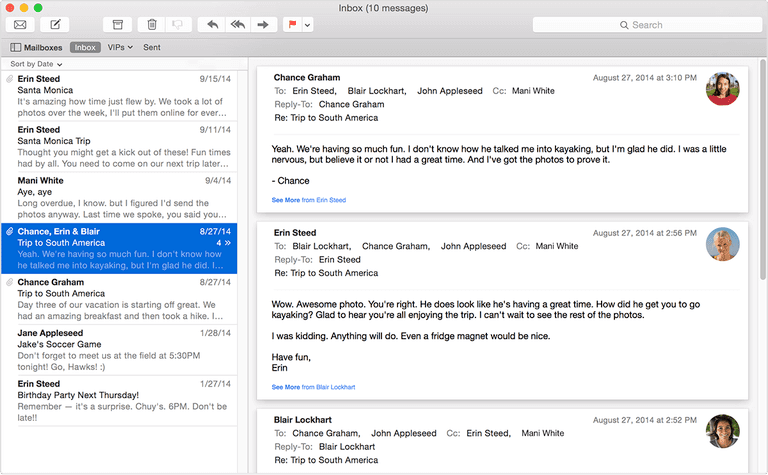 This open-source email client is available for free on both Windows and Mac. Thunderbird, from Firefox developer Mozilla, comes with a handful of filtering, searching, archiving and security features that make it worthy of being on our list. With plenty of features and plug-ins, we’re sure you will find something worth liking. And because it is free, that means no ads or prompts to upgrade. However, the flip side is that they don’t offer customer support. Mozilla Thunderbird allows its users to sync unlimited email accounts. 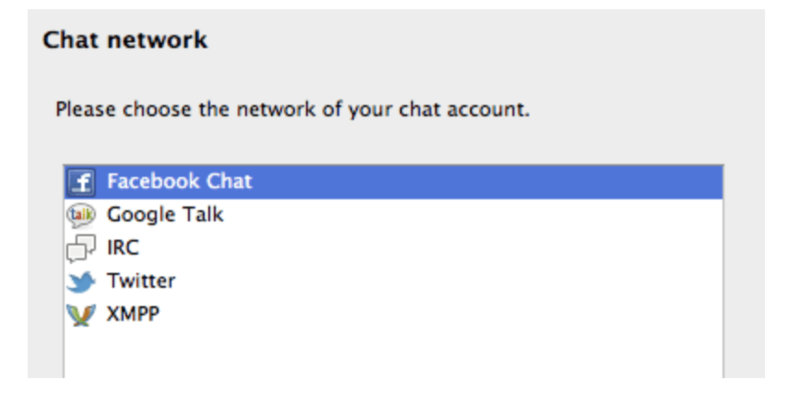 With a plethora of chat integrations, you can talk to all of your contacts with ease. Uploading large attachments can be frustrating and complicated. Mozilla Thunderbird allows users to speed up the transfers through what they call Filelink. By using Filelink, you can now upload large files to an online storage provider and share the link instead. 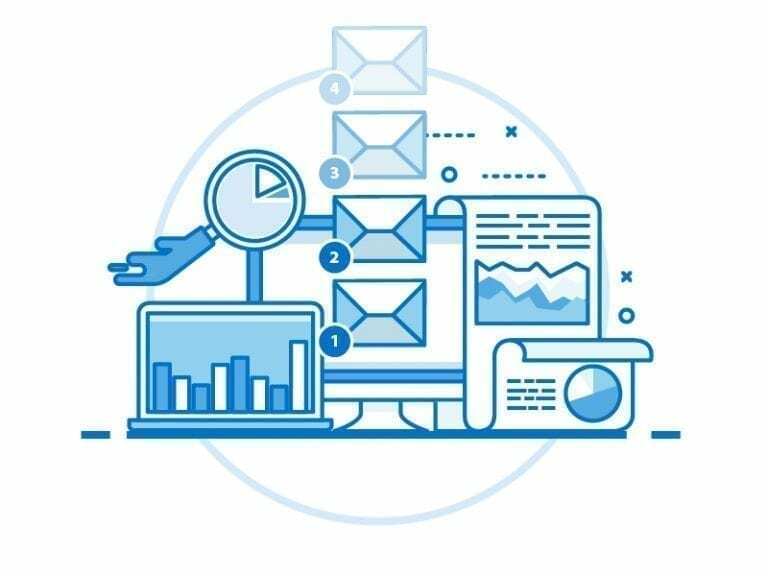 Not only does this speed up your outgoing mail server but it eliminates the old-school way of sending large files, while also eliminating the chance that your message will be rejected by the receiver’s mail server. Not to mention you will save space in your sent folder and your recipient’s inbox. You no longer need to visit add-on websites to get what you want. 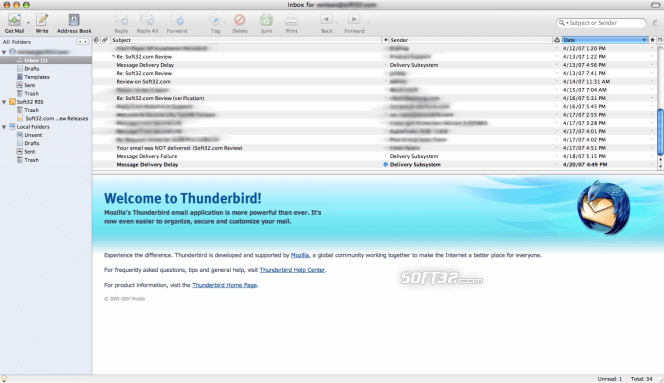 Users can find and install add-ons and extensions inside of Thunderbird itself. Users can search a web browser without leaving Thunderbird and are able to choose from a variety of search providers. 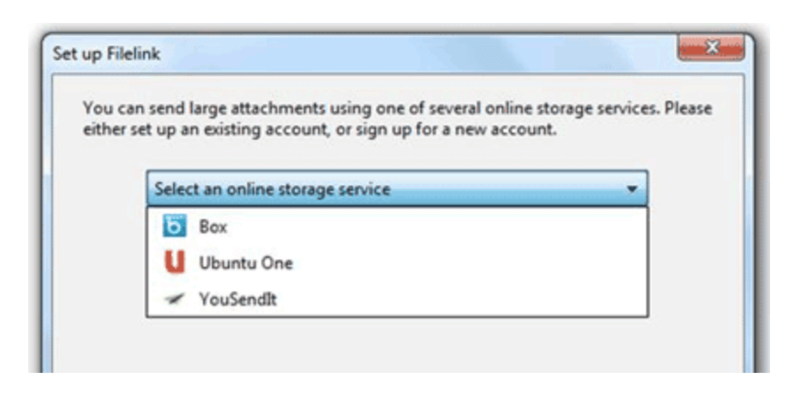 The Thunderbird setup wizard makes adding email accounts simple. Instead of having to deal with complicated IMAP, SMTP port and SSL/TLS settings, you simply give your name, email address and password, and Thunderbird does the rest. Through integrations with apps like RadioGNU Protocol, manoderecha, TbSync and CardBook, Thunderbird makes managing and chatting with clients easy. The interface isn’t the prettiest or tidiest. Many users feel that the setup process is very complicated and buggy. While free software is great, it limits features and functionality. Mailbird lite (our free version) is surely great for those who are looking for simplicity and a little more organization in life. But isn’t nice to at least have the choice to upgrade to better features, like say, email speed reader, snooze, priority support, attachment quick preview and more? Mailbird gives you options so that your experience is exactly how you want it to be. Mailbird even lets you customize your interface so it looks exactly how you want it to look! Thunderbird does tend to suffer from a few bugs. Users sometimes claim that clicking on the subject line can bring up the wrong email, and that subject lines often disappear temporarily. This wouldn’t be too big an issue if Thunderbird is being actively developed, however there have been no updates for quite some time. As a result, most of these bug still remain. Mailbird’s team is constantly developing the software to ensure that there are no bugs to trouble you. And even if the odd one does creep in, they’ll be on top of it in no time. The Thunderbird setup can be a little complicated and take a bit of time. With Mailbird though, you’ll be up and running in a few minutes! One look at Spark and you’ll know why it’s on our list. With a great set of tools and features that focus on productivity, it provides a great user experience by automatically organizing your mail into personal, pinned and newsletter messages. In case you accidentally displace an email, just shake your mobile device or hit the undo button and it will go right back to how it was before. The Spark automatic folders make tagging and labeling easy so you’re always able to find what you’re looking for. Their fast and clean interface won’t lag or overload your inbox, meaning more work in less time. Instead of notifying you for every email that comes in, Spark notifies you only when a message is important. Spark intuitively adapts to you by prioritizing the features that you use most, meaning you don’t have to spend time customizing your features. What to know if someone has opened a message that you sent? Spark can let you know when emails are opened so that you have an idea of what move to make next. 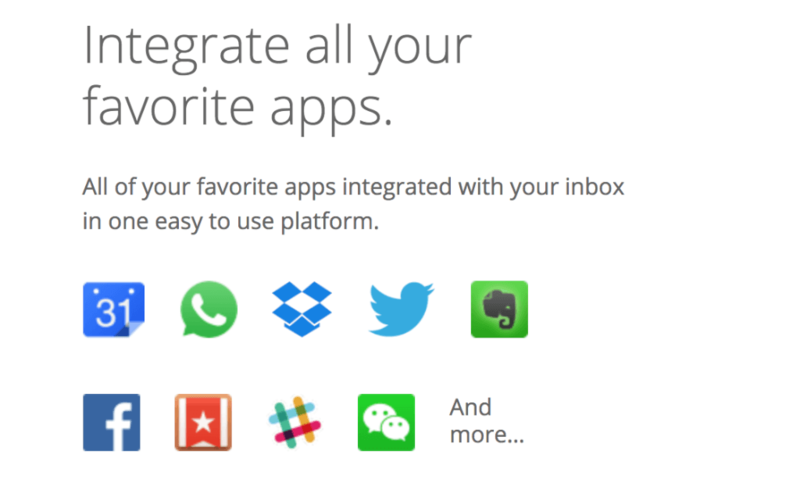 Spark offers a variety of integrations like Dropbox, Box, iCloud Drive, Evernote and Google Drive. Spark stores your emails on their servers to push them to your devices. Spark stores your credentials for email accounts on their servers. Services like Spam Filters, Pocket and many others aren’t supported. Doesn’t show the counts of emails next to the folders. Spark offers a free email client, but also offers a Premium version for $6.39 per active user/month (billed annually) or $7.99 per active user/month if billed monthly. The top email clients for Linux are Evolution, Mailspring, Claws Mail and Geary. 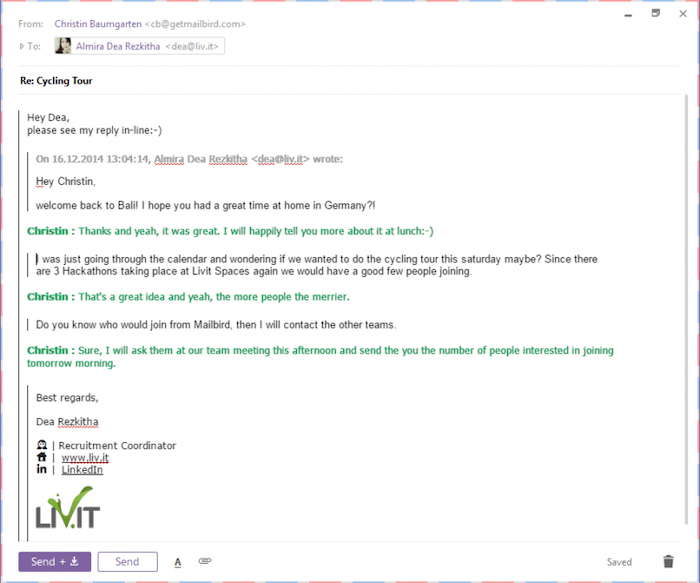 This email client is great for Linux users looking for a solid and reliable account manager. Evolution is an open-source groupware application that doubles as an email client. Evolution comes with smart task and contacts management tools, and a neat note-taking feature among other features. Get notified on your desktop so you never miss an important message. Evolution connects to both Google Mail and Office 365. 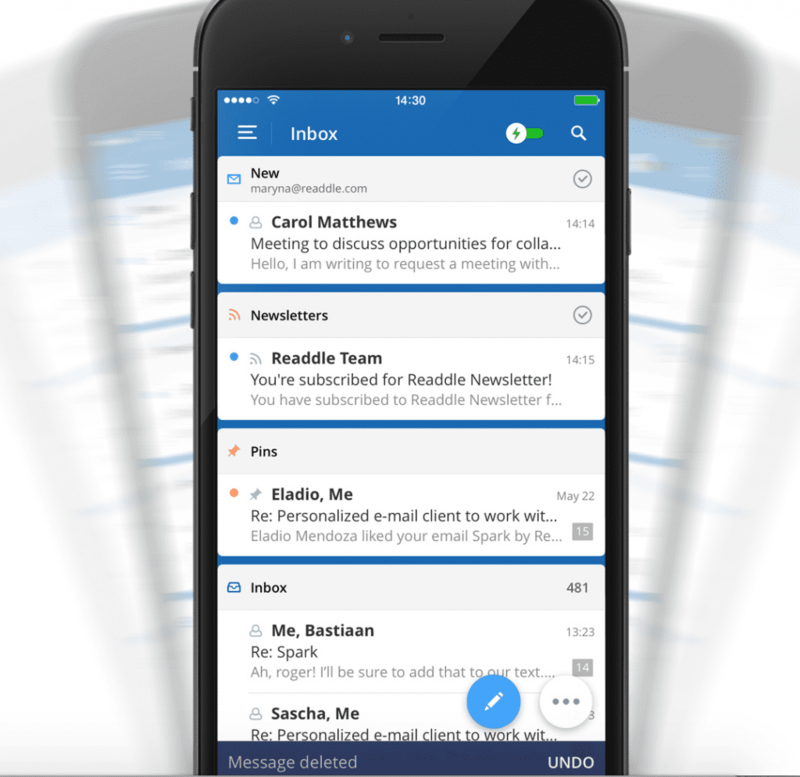 With this email client there’s no need for extensions or plug-ins. Evolution provides a series of downloads that are made to fit right into their interface. Evolution provides a package called “hunspell” that is downloadable so that your spelling is always on point. 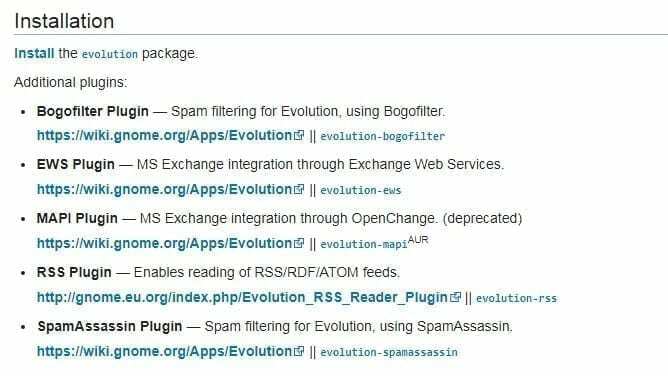 Evolution uses SpamAssassin to provide a highly functional spam filter so that you don’t have to waste time sorting through your spam yourself. The Evolution virtual folders act like a search and filter tool. A virtual folder lets you view messages that may be in several different folders. Evolution integrates email, calendar and address book all in one, making productivity and efficiency easier. Evolution doesn’t offer flexible message templates. Evolution doesn’t support the easy to read and attractive email text that most other email clients have. Gnome products are not the most user-friendly. While an old school interface may suit those of us who love the 90s, Mailbird provides a fresh and up-to-date email client that is easy to use and self-explanatory. The set up in Mailbird is also far easier. While Gnome products require a bit of tech knowledge and time, the Mailbird setup is adaptable to any user. No need to get lost in a wormhole of confusing downloads. The Mailbird setup and app integrations are far easier to manage and require minimal tech knowledge. Lastly – because the Evolution interface is old school, it doesn’t allow for much customization. Mailbird, on the other hand, provides features like a lite theme and a dark theme, as well as various layouts so that you like what you see when you log in each day. Mailspring is the next generation of Nylas Mail. While it may seem like they are one and the same, you will quickly notice that it got some serious updates. 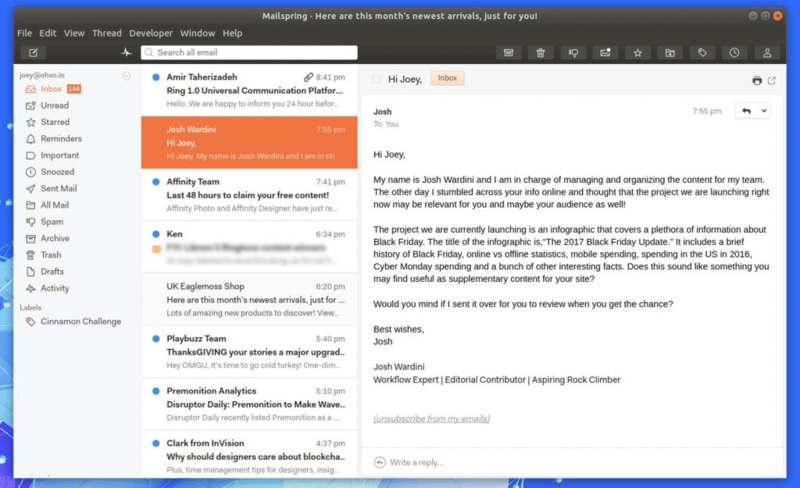 This open-source email client offers a clean interface and an array of basic and useful email tools like snooze and unsend options, as well as link tracking and a unified inbox. Because Mailspring has adopted a C++ core, it now uses 50% less RAM, syncs mail faster, and doesn’t damage your battery. 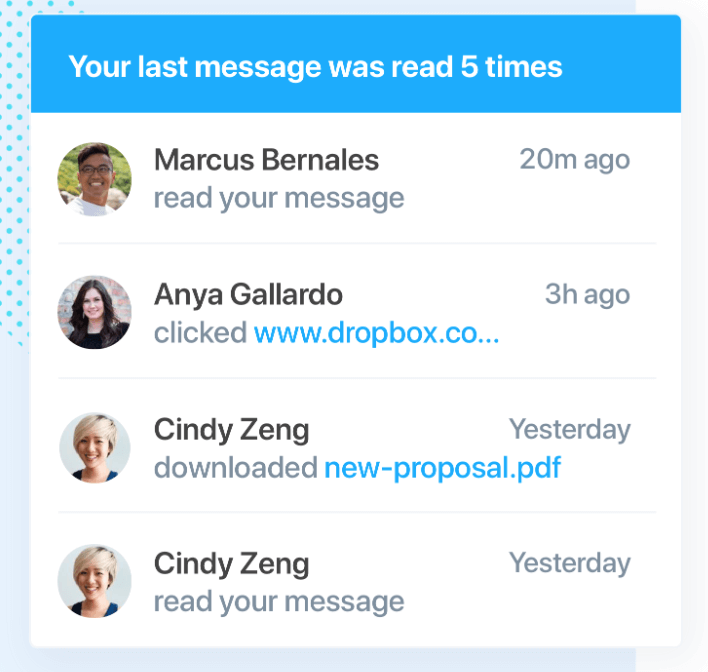 Mailspring has quick reply templates that let you customize a library of emails every time you want to send a quick reply. Their customizable, minimalist interface is easy to navigate and helpful for staying organized. Mailspring offers various plug-ins and debugging extensions. They have also integrated with Odoo for lead generation. You can’t use Mailspring without creating a Mailspring ID. There’s no way to see messages as plain text. Mailspring offers a free version, but also offers a more enhanced Pro version for $8/month. While Mailbird offers both POP and IMAP, Mailspring only offers IMAP. Mailspring users also have to create a Mailspring ID to use the software, which means another username and password to remember. The Mailbird contact manager further provides a steep upgrade from the lack of an address book in Mailspring, allowing users quick access to their contacts and unified contact cards. Claws Mail is a fast and lightweight email account manager that organizes even the messiest of emails. Its simple and somewhat basic layout may not look as good as some of the other email clients on the list. 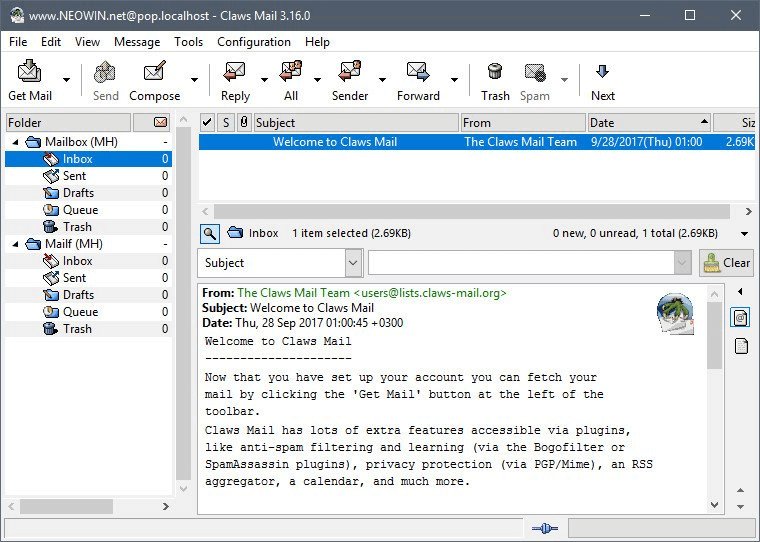 Nevertheless, Claws Mail provides a solid number of features, tools and plug-ins that focus around functionality. Claws Mail also provides a smart search feature for users to easily find contacts and emails. The Claws Mail interface is simple and easy to navigate, with everything right in front of you. Their plug-in store allows for unlimited expansion. No need to worry if this email client is acting buggy, as they are constantly providing updates for their users. Claws Mail lets users create custom filters that can be applied to all incoming mail and specific labels. Email attachments are automatically downloaded in Claws Mail. No need to trouble yourself with “show content” buttons. However, automatic downloads can get your computer infected with virus and malware. Claws Mail extends its features with various plugins like Trayicon, Bogofilter, and Perl filtering. The setup is not easy. 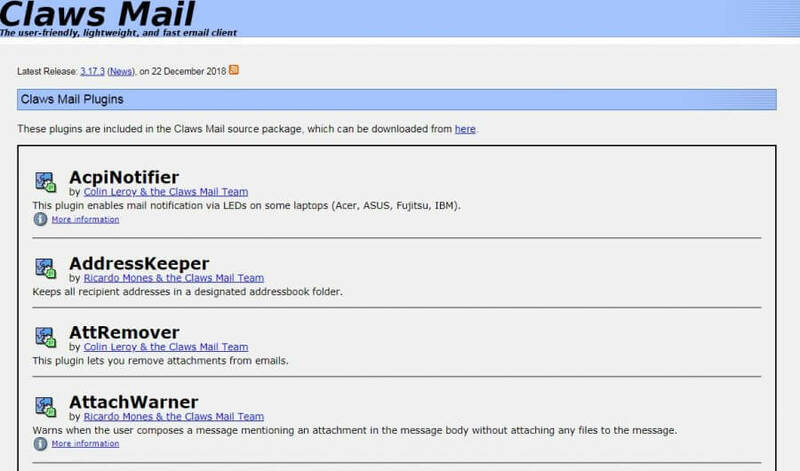 Claws Mail saves emails in an uncompressed format, taking up more space. Connecting to GMail accounts can be a nightmare. Like Evolution, the Claws Mail interface is extremely old school. Like chunky computer monitor old school. The Mailbird interface is far more user-friendly and sleek. Claws Mail also fails to offer automatic setup for POP accounts like Gmail and Hotmail. Onboarding can be hard – Mailbird does this in a matter of seconds for you. 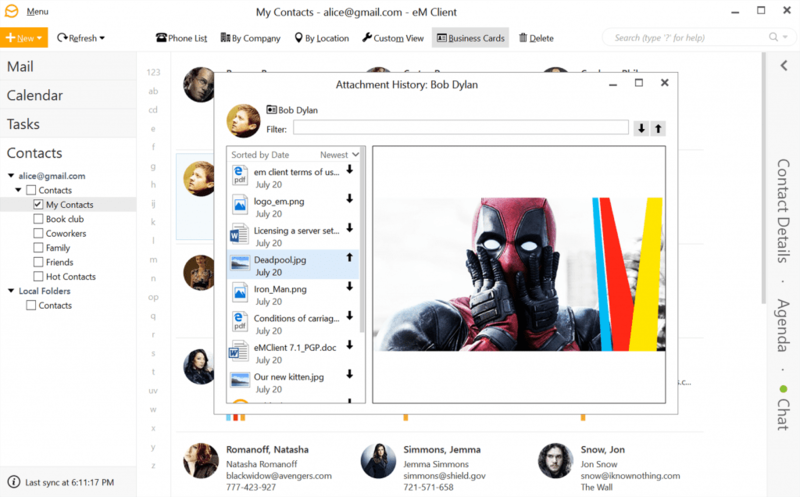 This fast, light and great looking Linux native client manages all of your accounts and adjusts perfectly to making email the easiest thing in the world. 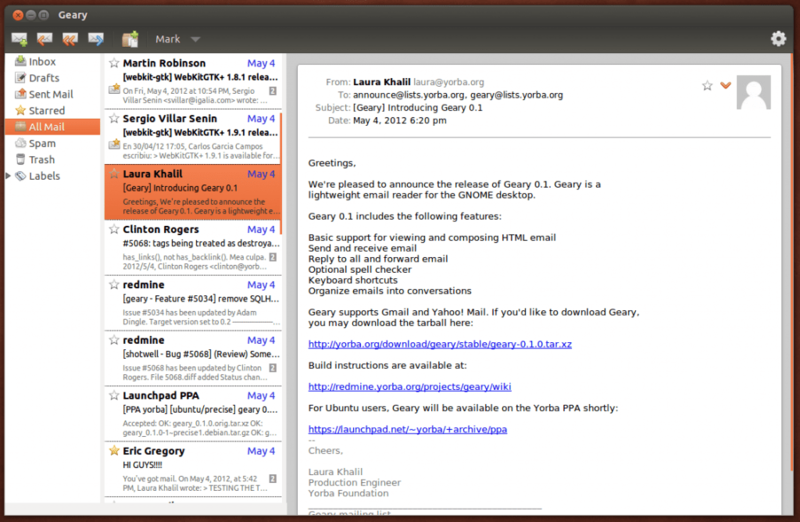 Geary features a clean unified inbox on a user-friendly UI. Geary supports major webmail services like Gmail, Outlook, Mail, Yahoo! and other IMAP servers. 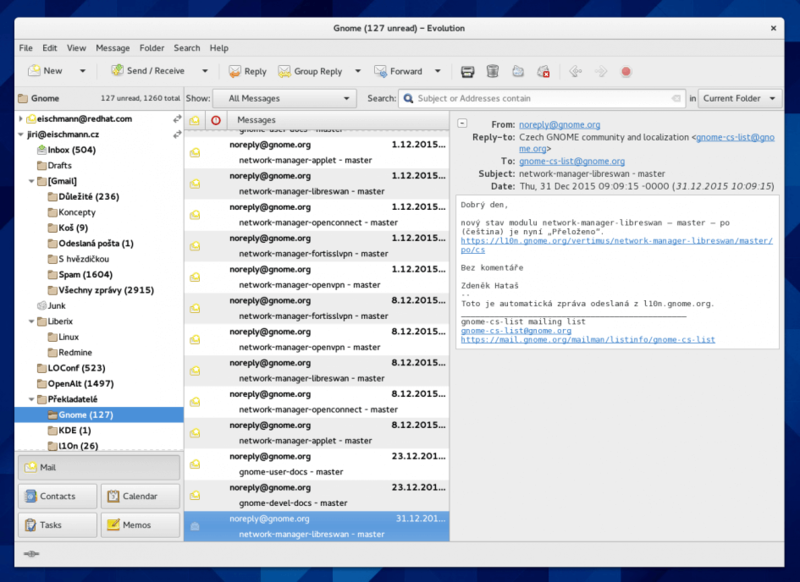 Geary is a native GNOME client that works perfectly with the Linux system. Don’t we all love threaded conversations? 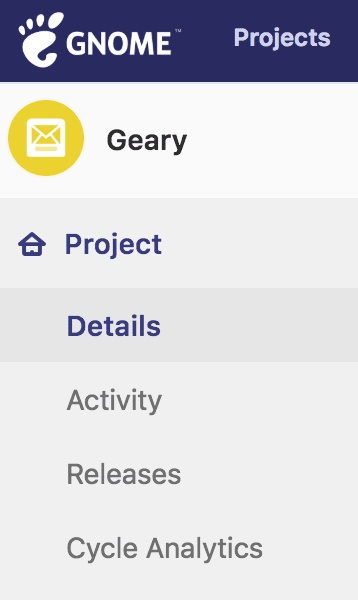 Geary presents all of your emails in threaded conversations and organizes them by that same criteria. Add a personal touch by ending your emails with a signature. Signatures are not only professional but they often include contact information, making it painless for your contacts to get in touch with you. Geary can compose HTML text. This allows you to adjust things like font and font size, and also lets you add images, making your campaigns that much more pleasing to the eye. The Geary desktop email notifications make staying on top of emails easy. Geary offers integrations like the GNOME Keyring integration to store passwords. Hardly any developments since 2017. Gmail does not list it as a secure app. 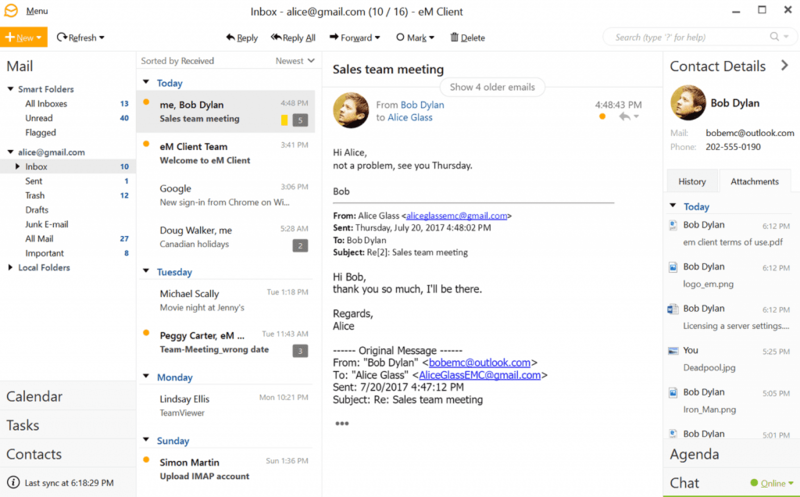 Managing email becomes far easier with the right desktop-based client. And sure, there are other great mail clients out there like Postbox, Seamonkey and more that didn’t make it onto our list. But not all of them can be the best, right? Which one of these email clients is your favorite? Tell us in the comment section below! And why not take Mailbird for a test drive by downloading it for free?